Ask a home, pool or specialty inspector how often they’re requested to drop everything to perform a pool inspection on the spot. It’s typical that a Realtor or home buyer will have a 48 hour window to get a completed pool inspection report in their hands for a home sale. Can it be done that day? Yes. Do you have the tools to do it that day? Maybe. 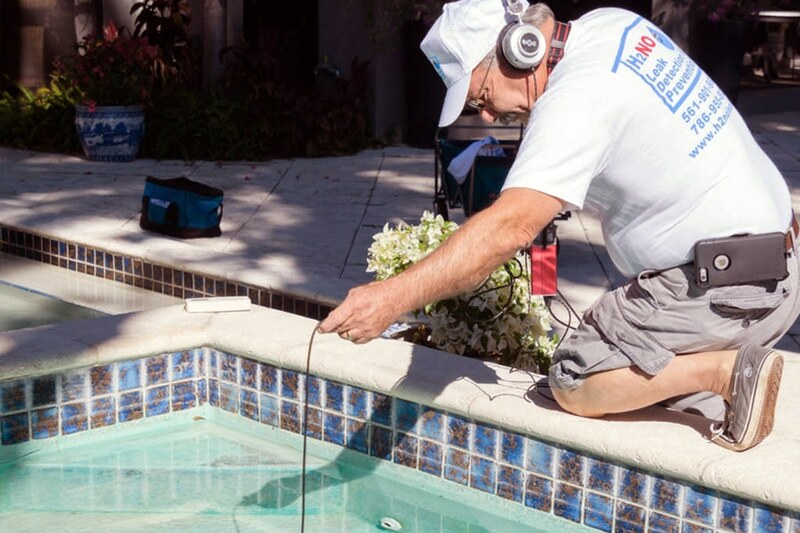 A proper swimming pool inspection requires that a leak detection be performed. The home buyer wants to know, “Is the home I’m buying with a pool a good investment? 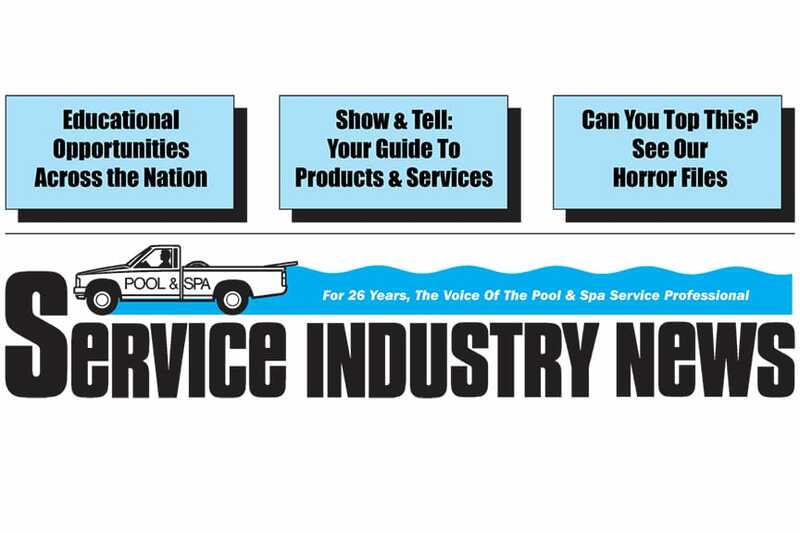 Is the pool leaking and if so, where?” You might have 48 hours to deliver those results. Leak analyzers aren’t leak detection tools. They’re hoaxy leak “guess-timation” tools. If a swimming pool inspector shows up at a pool with only a leak analyzer; first off – they’re not going to meet those 48 hour requirements in a leaking pool. If they have a enough time to produce their best guess of how much water the pool is losing, this still leaves a bigger question. So now, the buyer has to call a professional leak detection specialist to come do a proper leak detection. Time is running out, and costs are now doubling to simply find out how much the repair is going to cost. Leak analyzers do NOT tell you where a leak is, the severity of the leak or what it will require to repair it and keep the pool from leaking further. They also come with a lot of inaccuracies. The multiple factors that can influence their predictions are easy to skew and truthful results are hard to get. Even if the technician has the perfect environment, the analyzer still only shows what water loss may have been present at the time the analyzer did its thing and most pools being analyzed with a leak analyzer will have those unknown variables. 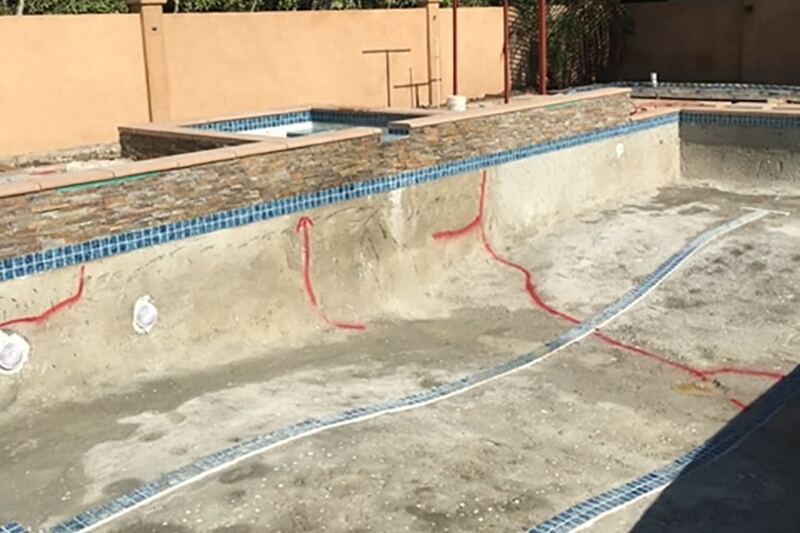 What if the water loss in the pool has already fallen below the level of a bond beam break? It won’t show any loss at all unless the pool is filled to the proper level. What if the pool only leaks when the equipment is running? If the leak is in a fountain or water feature and that feature isn’t running during the brief time the analyzer is working, you’ve missed it. Booster pumps, raised spas, check valves, self cleaning floor systems – all of these can have leaks that won’t show unless all of that equipment is running at that moment and a majority of the time, those things aren’t all running. Wind is the biggest factor. A leak analyzer cannot properly function on a windy day. Are you going to ask a customer for another day to return, hoping there won’t be wind tomorrow? Remember, they are on a schedule here! For windy situations, one leak analyzer manufacturer suggests putting a plastic sheet over the entire pool. This makes no sense! Lets say you have an L shaped pool; are you going to be cutting plastic to the shape of the pool in front of your customer? Now the plastic is flapping in the wind like a seagull and hitting the surface of the water. That won’t work! You turn on a water feature and it’s spouting water like Mount Vesuvius onto the plastic, causing a flood in the pool. This is the advice from the manufacturer of the leak analyzer! They actually want you to pay for leak detection product that requires you buying plastic, spending hours cutting it to fit a pool and looking like an absolute bozo in front of your customer. That’s money well spent. There is barometric pressure; high or low pressure systems – these give you false readings. Are you going to ask mother nature to change her plans? Good luck with that. Direct sunlight will also skew results. Someone stated that that you can put a cardboard box over the device while it’s running. There’s nothing more impressive than a corrugated Wal-Mart box on top of your devices when your customer is looking for a real professional. How about making a sandwich in their kitchen while they wait for results? You can use the box later to haul away your trash. These are just a few of the variables that cause inaccuracy and the list is longer than this! What does work, however, is taking 45 minutes to perform a proper leak detection by listening to the pool for leaks. 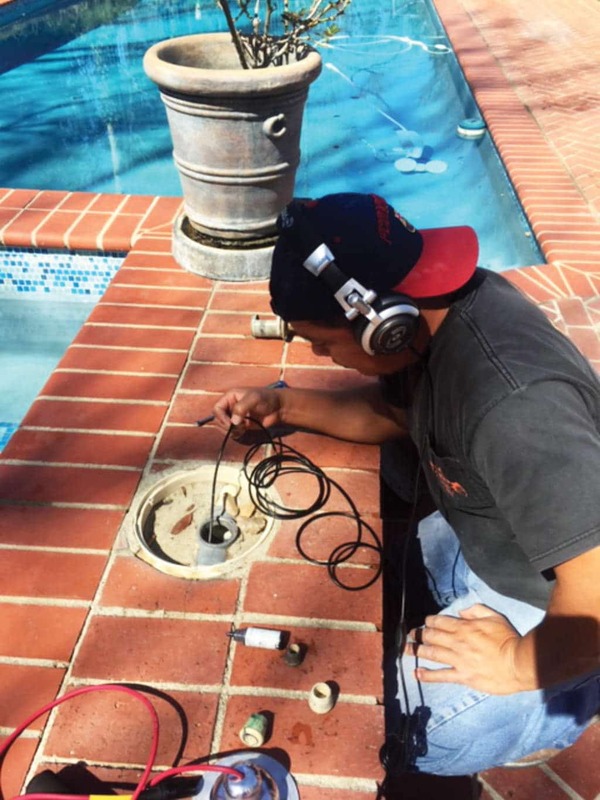 Using LeakTronics powerfully sensitive Pool Scope and listening equipment will allow a contractor to listen throughout the entire pool, skimmers, water features, fittings, lights, drains and suction ports. Structural cracks can’t hide leaks. Just use the Pool Scope to listen along them, and all other areas of the pool, and if there’s a leak – you’ll hear it! You’ll identify the location of the leak and be able to give a proper report, with repair estimate costs, that day! You’ll deliver your results well within the time restraints the buyer needs them in and you’ll get paid. What’s better – you’ll get called for the next home sale with a pool. In short, having the right equipment to do the job is the most important thing. Showing up for a leak detection with a leak analyzer is like showing up at a the Indy-500 with a go-cart. Yes, you can get on the track, but the competition is going to leave you in the dust. 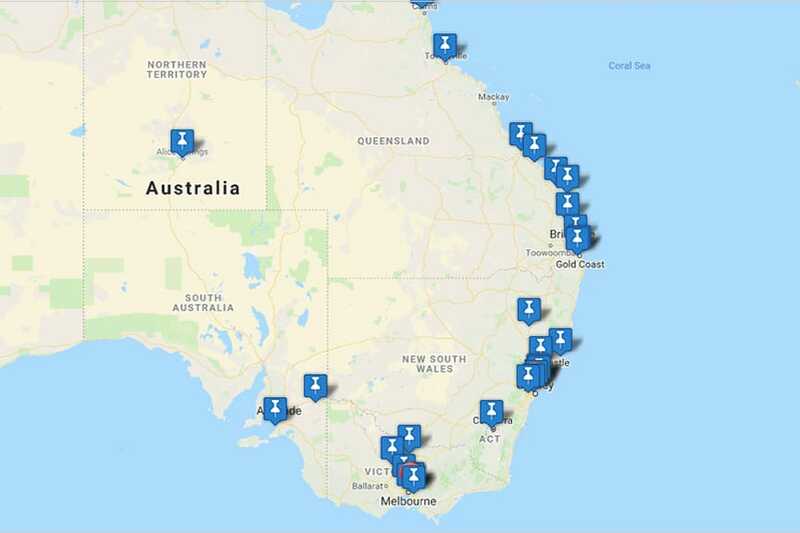 Learn more about LeakTronics equipment and the extensive online training options available to make you a professional in the field of leak detection. There are no shortcuts to success, but having the right tools and knowing how to use them will virtually guarantee that in the end, you’ll get the job done right and you’ll be the first call the next time someone has a question about a leak.